Our name hails from the mountain town of La Honda, up over Skyline from Woodside, where we grew our first estate Pinot Noir among the stunning redwood groves and Pacific-facing meadows. La Honda’s untainted beauty and community are all increasingly precious vestiges of old California within the Bay Area. With 50 vineyards up in the hills between Woodside and Los Gatos we could have located ourselves anywhere locally. Instead of being another remote winery, we chose our urban location to build a beautiful stone and wood filled winery in an extremely convenient location to produce the wine and entertain guests. La Honda Winery is blessed with a uniquely wide spread of perfectly varietal-specific vines. Between La Honda Pinot Noir vineyards that are cooled by Pacific fog and Los Gatos Cabernet vineyards that bake in the sun, our vines enjoy a huge difference in soils, elevation, sun exposure and day/night temperatures. This diversity is key to growing the perfect fruit for each one of our wide range of wines. 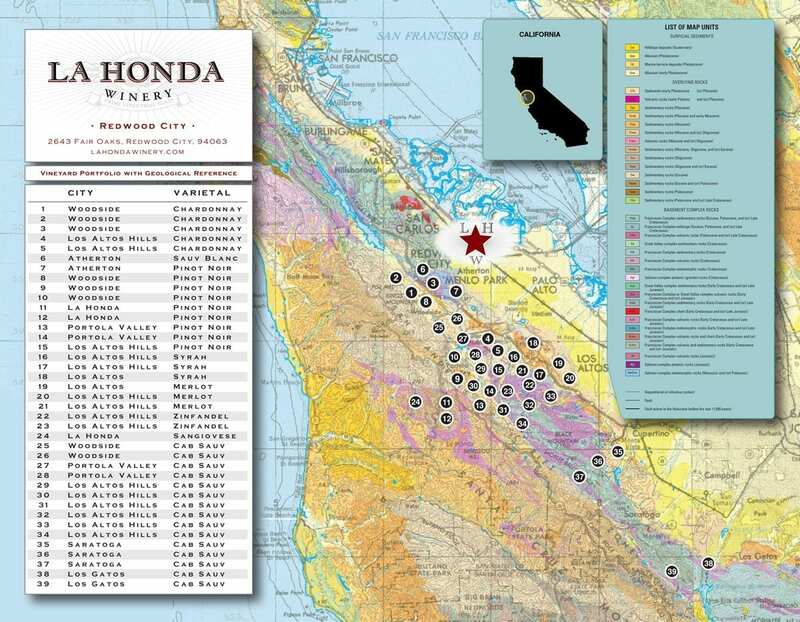 It’s also key to us growing and making truly local wines for the community, as these are the closest vineyards to San Francisco and most of the Peninsula.